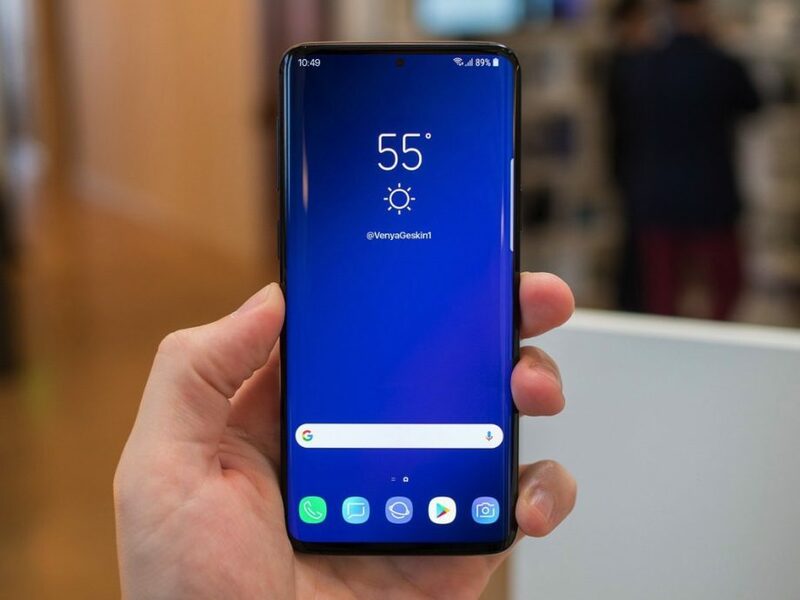 Home News Galaxy S10 : Samsung To Include Wireless Reverse Charge? Galaxy S10 : Samsung To Include Wireless Reverse Charge? Enough with the leaks, right? But the leaks won’t stop no matter what we do and we won’t stop giving you the latest scoop. Samsung Galaxy S10 series have leaked like there is no tomorrow. We heard rumors about a Galaxy device to support a hole punch selfie camera just after Samsung’s developer conference back in 2018. Soon after that, leaks and renders have been pouring in like crazy and we have been following them. The above picture looks like a press release to showcase product features. We see some never before seen wireless ear buds, allegedly The Galaxy Buds, placed on the back of a Galaxy S10. If you look closely you can make out the green led flashing on the bud’s case. This leads us to believe that they are being charged wirelessly. If this turns out to be true, Samsung will officially become the second company to implement this feature the first one being Huawei. Huawei introduced this feature in the last year’s phenomenal Mate 20 Pro. It was one of those things which you didn’t think you would like but ended up loving it. Well, Samsung decided to jump on the band wagon. Aside from these things, how about we talk about them buds? Samsung’s previous true wireless buds, The Gear Icon X, although awesome were lacking in some critical areas. Coupled with the stiff competition from Apple Air pods it’s no wonder that they didn’t sell well. Rumor has it that this years true wireless earphones from Samsung dubbed The Galaxy Buds, are going to be much improved in every way. Although they haven’t been confirmed yet, they are reported to be priced at €149. MWC is approaching at a rapid pace and soon we will see whether all of the rumors and leaks get confirmed or not. Don’t forget to keep following us to stay updated and if you have anything to add, comment down below.